Okeechobee Veterinary Hospital is a full-service veterinary medical facility located in Okeechobee, FL. We offer services to Large and Small Animal clients. The professional and courteous staff seeks to provide the best possible medical, surgical and dental care for our highly-valued patients. We are committed to promoting responsible pet ownership, preventative health care and health-related educational opportunities for our clients. Okeechobee Veterinary Hospital strives to offer excellence in veterinary care to Okeechobee County and surrounding areas. Please take a moment to contact us today to learn more about our veterinary practice and obtain more information about how Okeechobee Veterinary Hospital can serve the needs of you and your cherished pet. Dr. Harvey graduated from Auburn University in 1978. He soon returned to his hometown of Okeechobee, Florida to begin a long career in veterinary medicine. Working for many years primarily as a food animal and equine practitioner, his focus has now shifted to small animal medicine and surgery. 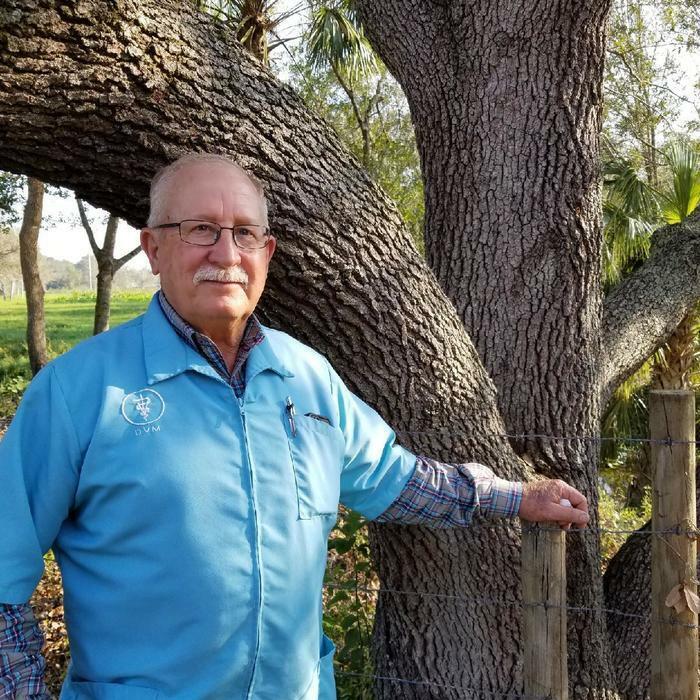 In addition to veterinary practice, Dr. Harvey operates his family ranch raising purebred Braford cattle and Cracker horses, breeds that are native to the state of Florida. Dr. Davis graduated from Texas A&M College of Veterinary Medicine in 1985 and joined the staff at OVH in 1987. She now limits her practice to canine and feline medicine and surgery. She believes that focusing on preventive health, such as weight management, dental health, appropriate vaccinations, and spaying or neutering, will allow our pets to live long, active lives. Dr. Davis and her husband are the parents of two adult children. They have a small cow herd used to produce show calves for local 4-H and FFA members. They support their Texas A&M Aggies and enjoy returning to College Station and the Texas Hill Country as much as possible for barbecue and true Country music.